After several months of trying to get time and energy to do it, I’ve finally added a new menu item to the website called Current Progress. It won’t replace these updates, but it will compliment them and will make it easier to see progress over time as I’ll keep the past two months or so of updates. Having a simple format should mean I update it more often which is a good thing too. Writing wise a lot of my time is still going into preparing for the Wanderer – Origins release in just 12 days time(!) I’ve also spent some time finishing the current round of editing for the second Short Story collection which should be out sometime in the winter I think. 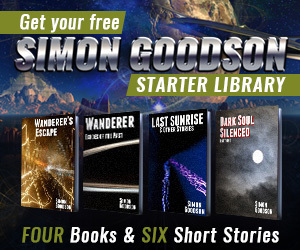 I’ve managed some writing on Wanderer book five, bringing it up to 26,000 where to buy doxycycline words, and I also wrote a new short story called ‘The Chemist & the Werewolf Hunter’ which will become a subscriber-exclusive story once it’s been worked over and edited. That’s it for this week, so here are the numbers and don’t forget to check out the new Current Progress page. Progress to Sunday 27th September.